You can create printable tests and worksheets from these Grade 2 Anatomy and Physiology questions! Select one or more questions using the checkboxes above each question. Then click the add selected questions to a test button before moving to another page. The skeleton is made of . 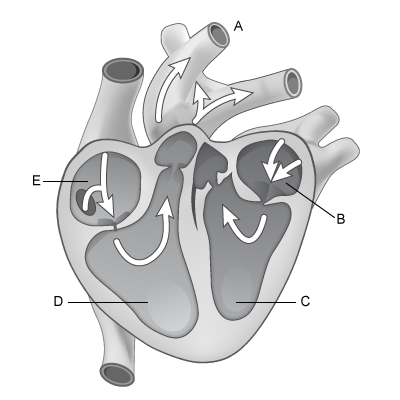 The way the heart circles blood around the body and back again is called . The bone that protects the brain is called the . My bones are joined together by . A part of the body that we can stretch or tighten is called a(n) . When you breathe you release carbon dioxide. My is a muscle that pumps blood to the whole body. Taste is one of our five senses. Our bones are covered with . The framework of bones is called . The instructions to all our body parts are given by the . What is the study of body parts? A provides support for an animal's body.